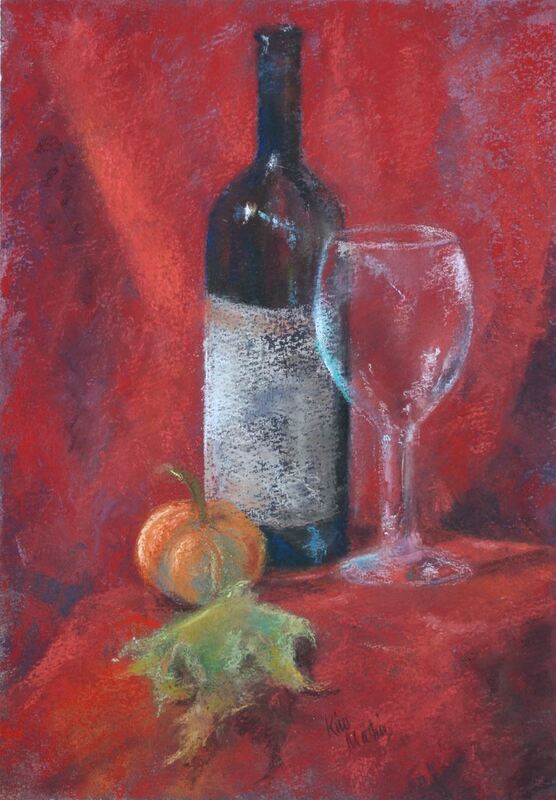 1ST TIME PASTEL USERS: For a small fee ($5 - paid at class) you can borrow pastels from the instructor (contact Kim Martin at: kim@kimmartin.ca). A great option to decide if this is a medium you want to explore before purchasing product. Kim Martin will show you how to capture 'reflections', 'light' and 'transparency' with soft pastel using a simple step by step method. The class will work from a few props (optional: bring a wine bottle and wine glass) or a photograph will be provided by the instructor. Kim Martin is a Pet Portrait Artist, and this has been her profession for the past 10 years. For 45+ years she has been creating in pastel.